This image reminds me of the Eye of Sauron in the Lord of the Rings movies. On the other hand, it also looks a lot like a flower. I think I prefer the flower -- let's go with that, shall we? 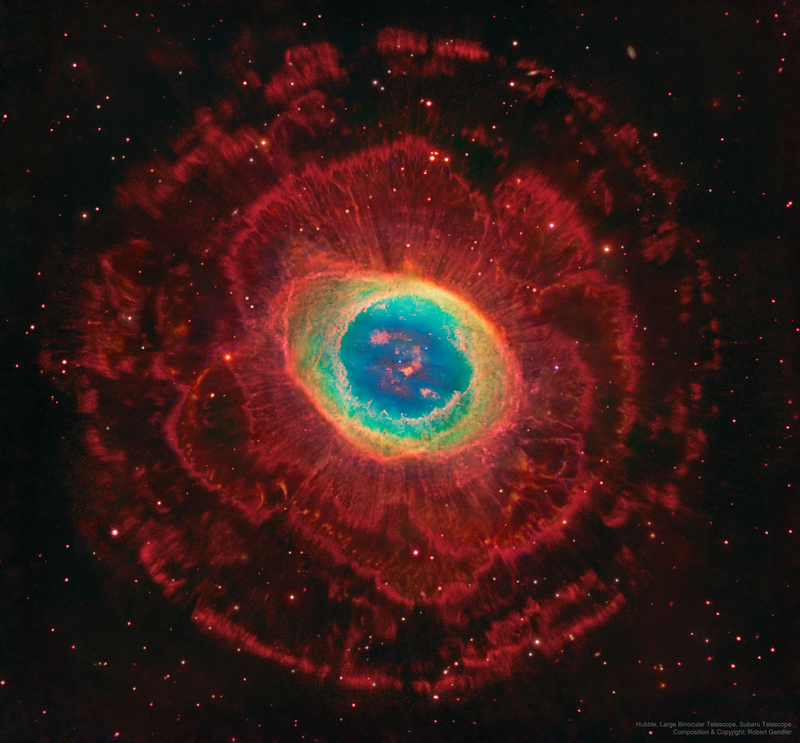 The Ring Nebula, M57, is about 2000 light years away. The image is a composite of deep exposures from three different large telescopes, which is why there's so much beautiful detail.